*This story was originally published by Red Letter Christians on December 18, 2017. American veterans face disproportionately high rates of under-employment, exploitation, homelessness, and suffer from a lack of access to the physical and mental health resources they require. These factors, combined with the silencing of veteran voices and widespread misunderstanding of veterans’ needs and experiences, have contributed to the number of veteran suicides. Our nation’s veterans are left out of the very rights they preserve by their service. This contradicts American sentiment expressing concern about veterans’ well-being. This must change if America is truly going to be the “land of opportunity” for those who served in the military. It is because of these disadvantages that the federal government has for over 50 years legislated protections specifically for veterans, protections that — much like the protections for racial minorities and other disadvantaged groups — include equal employment opportunity, access to education, fair housing, and protection from hate crimes. Regardless of our political leanings, we can all take a stand to make sure that the civil rights and protections for veterans are strengthened and that soldiers can transition from military service to being productive citizens after their discharge. Some employment protections exist for veterans, helping them get or retain jobs, but those protections are limited and poorly enforced. The U.S. Equal Employment Opportunity Commission, birthed by Navy veteran John F. Kennedy in 1961, actually excludes veterans from their list of protected characteristics. The 1974 Vietnam Era Veterans Readjustment and Assistance Act (VEVRAA) was the first to formalize protections, but the labor law only extends to public sector employment and private employers receiving $150,000 or more per year in federal funding. It is further limited to veterans who have been in combat or who are disabled, excluding peacetime veterans without any service-connected injuries. Veteran under-employment, however, is not the only area that can be affected by better civil rights legislation. Another law that (technically) protects our nation’s veterans is the Hate Crimes Prevention Act, passed in 2009 as a rider to that year’s National Defense Authorization. The act added sexuality, gender, and disability to hate crimes protections, but its safeguards for service members are limited to the first five years after discharge. The overwhelming majority of our nation’s veterans are therefore excluded. As for education, many elite colleges offering high-value degrees graduate fewer veterans than predatory for-profit schools. This could be because the massive amount of federal funding they receive acts against incentives motivating smaller universities to seek out GI Bill recipients or to recruit transitioning enlisted veterans. It doesn’t help that the Department of Education’s Office for Civil Rights offers no specific protections to veterans. Housing is the remaining area that is typically the focus of federal protection, but the amount of ink spilled about veteran homelessness conceals the fact that theDepartment of Housing and Urban Development’s Office of Fair Housing and Equal Opportunity excludes veterans in the same way. Why is all this important for Red Letter Christians? Justice-seekers and mercy-lovers like us don’t often think of veterans in terms of marginalization, but we must. It is a distinct mark of military service to put others before yourself, to ignore physical and spiritual pain even to the point of death, even death by suicide. The vicious cycle of self-sacrifice is woven into the martial identity from day one of boot camp, where we are stripped of any semblance of self in order to subordinate our needs, even our very survival, to the needs of the whole. The lack of basic civil rights for the very people whose service preserves those rights, for the very community that often paved the road toward success for civilian activists and organizers, should offend us. It should offend us when veterans are trotted out once or twice a year to advocate for the rights of others to not be discriminated against, harassed, or abused by people with power while they themselves do not receive the same protections. Let us, as Red Letter Christians, put a stop to token expressions of gratitude. 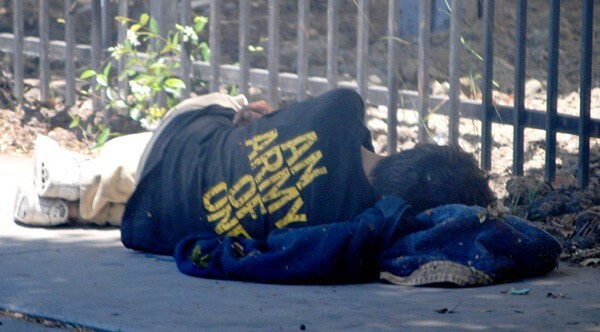 Besides being shallow gestures bereft of meaning, they don’t pay the bills or put roofs over veterans’ heads. Instead, take meaningful action to protect our vets. Anyone can write their federal legislators and ask them to #ProtectOurVets by improving protections for veterans and strengthening enforcement mechanisms. If you want to learn more, or if you want to have something to give your member of Congress, you can download and share the same one I provided to the offices of several members just last month. Let’s #ProtectOurVets — American veterans deserve better.